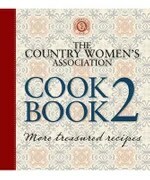 itunes apps for baking scones recipe and CWA e-books. | Sconquest. ← taste.com.au A veritable smorgasboard of scone recipes!! Haven’t explored itunes for scone recipes before. I found a very nice looking app for baking today, which had a scone recipe. The Photo Cookbook-Baking for $5.49. Reviewers seemed very happy, give it a try and let me know.There is a Quick & Easy Cookbook too. 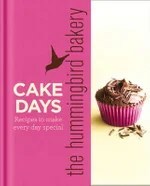 Also found an app for the Hummingbird Bakery– cake days. 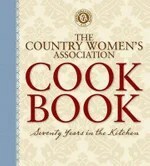 Looked in the Food & Wine e-books and was very surprised to find both the original and second Country Womens Association Cookbooks for $19.99 each. I think the buttermilk scone recipe is in the original one. Certainly easy on the shelf storage this way, but sticky fingers may be a problem. Unfortunately, no Commonsense Cookery Book here but there were plenty of others. This entry was posted in Books, Recipes and tagged app, baking, cookbook, country womens association, cwa, e-book, hummingbird bakery, itunes, photo. Bookmark the permalink.